Get ready kids! Christmas is coming in August this year! Arcade Fire, the greatest band of all time, recently announced the release of The Suburbs Deluxe CD and DVD on August 2nd. You know what I always say…the only thing better than Arcade Fire is more Arcade Fire! Well, most of you don’t know I say that. But it’s still gospel! The Deluxe CD will feature an extended version of Wasted Hours, as well as two recently released bonus tracks – Culture War and Speaking in Tongues (which David Byrne of Talking Heads adds vocals on). If you haven’t listened to these tracks, you’re in for a treat. They are classic Arcade Fire – weird and beautiful and sobering. Win Butler opens up Culture War, sadly singing “now the future’s staring at me like a vision from the past.” Sigh. Oh my sweet Win Butler…when you sing, I feel it all the way to my toes. The new tracks are awesome, but it’s the DVD I’m most excited about. 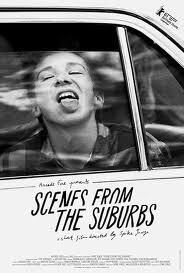 The DVD will feature a 30-minute short film, directed by Spike Jonze, entitled Scenes from the Suburbs. The band teamed up with Jonze last year for the video for the title track of The Suburbs. I remember watching it over and over again the day it was released. His depiction of these suburban kids – how they grow together and grow apart, all while living closed within those suburb walls, is touching and haunting and is something I think we can all relate to. 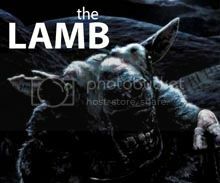 If you haven’t seen it, please do yourself a favor and check it out. I mean now. Right now! Both the CD and DVD are currently available for pre-order. This news pretty much made my summer. I love Arcade Fire more with each album they release and I can’t wait to see what they do next!